Happy Monday friends! Hope everyone had a fantastic weekend and all of the momma's out there had a wonderful Mother's Day. I was lucky enough to have gotten to spend another Mother's Day with my mom since she was in town so I treated her to a facial then lunch in Winter Park. Both of my parents are huge fans of Irish pub fare so after my mom's facial I knew just where to take them, Fiddler's Green! 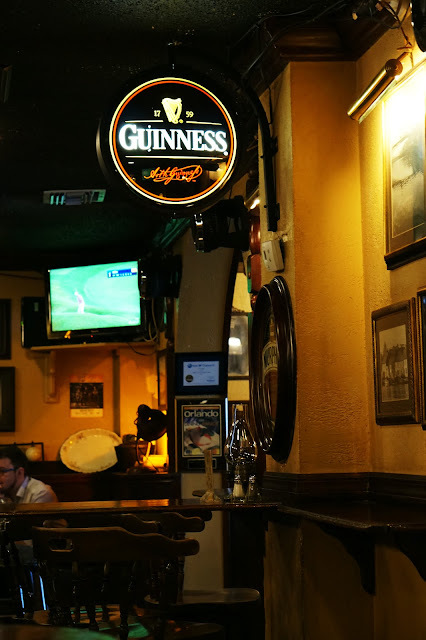 This is definitely an Orlando gem if you're a fan of Irish food. 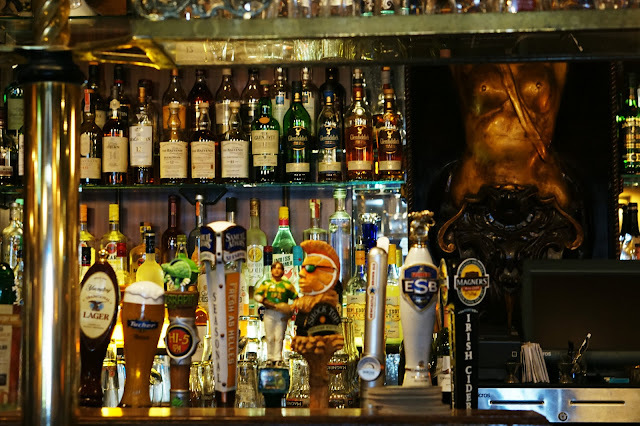 This popular local spot is guaranteed to not only offer a great time, but great food and drinks. Featuring traditional Irish eats, plenty to drink, darts and live music, Fiddler's Green transports you to a little piece of Ireland without leaving Florida. We got lucky and it was relatively quiet when we got there so we didn't have to wait to be seated but on an average Friday or Saturday night you can expect a wait and on St. Patrick's Day, you might as well forget it unless you plan on getting there around 7:30 am! The portions are definitely on the bigger side (I swear I'm still full!) as you can see below. 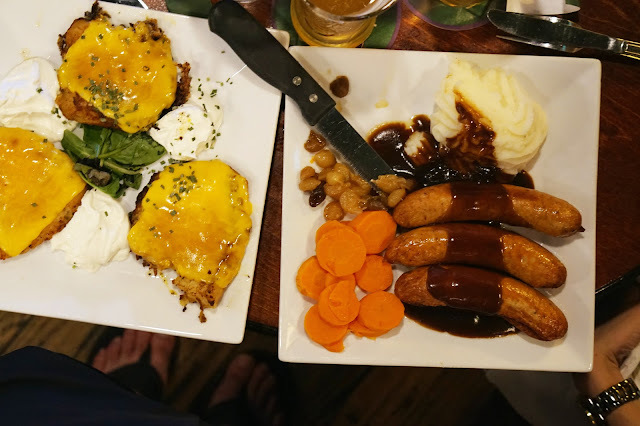 We decided to split potato pancakes and bangers and mash (my favorite) and we had MORE than enough for the two of us. If you're ever in the mood for traditional Irish food and you find yourself in the Orlando area, I definitely recommend Fiddler's Green! This looks like such a cute little spot! The food looks SO yummy oh my goodness! Happy Monday!! YAY for geting to spend time with MAMA. I'm not a fan of Guinness but I LOVE a good Irish Coffee! yum! now i want bangers and mash. i mean i did yesterday but by the time we left i was hungry and i should have just gotten some to go lol. glad you got to spend mothers day with you momma! The exterior of this restaurant reminds me so much of a place we have in Raleigh called Hibernian Pub... fitting since it's also an Irish restaurant and pub! Glad you had a great weekend! Sounds like such a great day and that food looks delish! That's great that you didn't have to wait long in order to get seated! It always seems like Irish bars and restaurants know how to have a good time, and it's even better when they have some good food too! All of it looks so delicious! Okay that food looks DELICIOUS! What a fun day! I've passed this restaurant 100 times but never thought to stop in! Definitely need to now- esp because I always am in the area when I'm home! Hope you and your mom had so much fun!! What a fun place! The food looks amazing. So glad you were able to spend the weekend with your momma! My goodness, the food looks amazing! Sounds like so much fun! What a fun way to spend Mother's Day with your mom! The food looks amazing, especially the potato pancakes! My husband loves Irish food so he would definitely want to check this place out. Happy Monday! What a fun little restaurant! I actually have never had Irish food and this looks delicious! That food looks amazing! I definitely need to try this restaurant out! Sounds like the perfect place for your parents! The food looks great. So glad you got some nice time in with your momma and that food looks so good! We have a similar place to this in Atlanta and it's so good! St. Patty's day is insane. 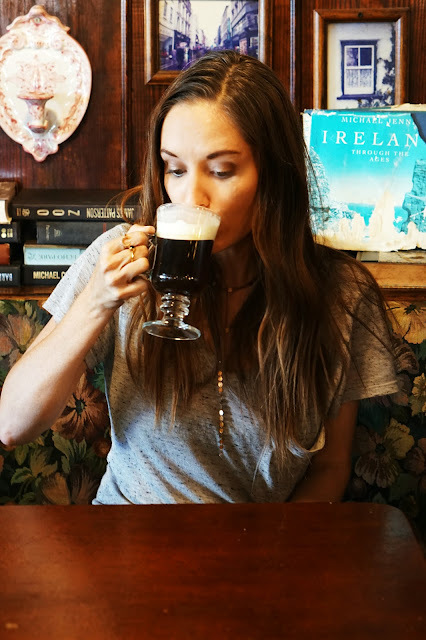 I am a big fan of Irish food, and beer, so it's good to know where to get it! Glad you could see your mom! That food looks so good. There is an Irish pub near us that I really should try. 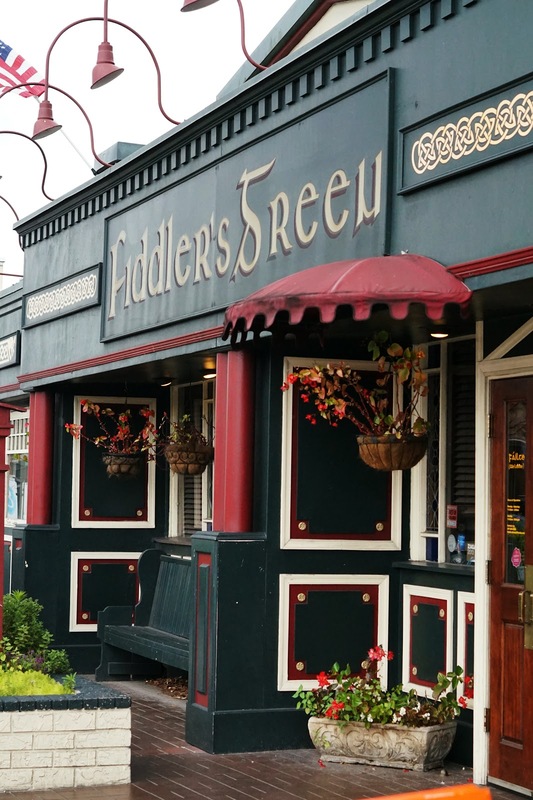 Fiddler's is definitely an Irish gem in Winter Park. I love how they serve free finger food during happy hour (or at least they used to last time I visited). I've gone so many times for happy hour but never had a full on dinner there. i haven't been to orlando in years and need to go back! the food looks amazing! Amazing pictures!! I would like to be there!! Glad you had a great visit with your mom! This place looks so cute and the food delicious! I love a good ol' Irish pub! We have one in our neighborhood and we alwaysssss hit it up! Glad you had a great Mother's Day! The food looks so good!